Freshman 2019-2020: The GoCPS Application is now closed! All admission results will be sent out by CPS on March 29th. Students who receive 1st round offers will have until April 12th to accept their seats. Any seats not confirmed will be open to students on the waitlist. A second round application will open April 29th for any programs with remaining seats. For more information, please visit go.cps.edu. Please see the Steps for Admission below. The application for all rising 9th graders is only available for through CPS starting in October of a student’s 8th grade year. Please visit go.cps.edu for more information and a link to the application. Be sure you have activated your account or received an activation code from CPS. 1. Attendance: 90% attendance rate from the 7th grade year. Students with IEPs may have a combined reading and math percentile total of 48 (e.g., reading 20 and mathematics 28). By completing the application, students are indicating that they are interested and willing to attend an audition. Applicants are responsible for scheduling their auditions through the GoCPS application. Be sure to schedule your audition on a day you can attend, as we are not always able to reschedule auditions. Only complete applications will be considered. A complete application includes both the CPS application and test scores/attendance record. CPS Students: Your test scores and attendance record will be automatically uploaded through the go.cps.edu website. Non-CPS Students: You must take the NWEA and receive an activation code through CPS in order to apply. Please visit go.cps.edu or contact the CPS Office of Access and Enrollment by phone, 773-553-2060, or email, gocps@cps.edu as soon as possible. All testing and application documents must be submitted by the application deadline. Students must apply no later than the date set by CPS. It is the student’s responsibility to provide accurate contact information. Due to the high volume of applications, early audition registration is encouraged. No late applications will be considered. Online application is strongly encouraged. Paper applications must be received by CPS before their set deadline. Paper applicants will be experience a processing delay as well as limited audition possibilities. Please apply online, if at all possible. Students, please pay careful attention to where you place schools when ranking them in your GoCPS application. Rank will play a very important role in the school you are placed in. 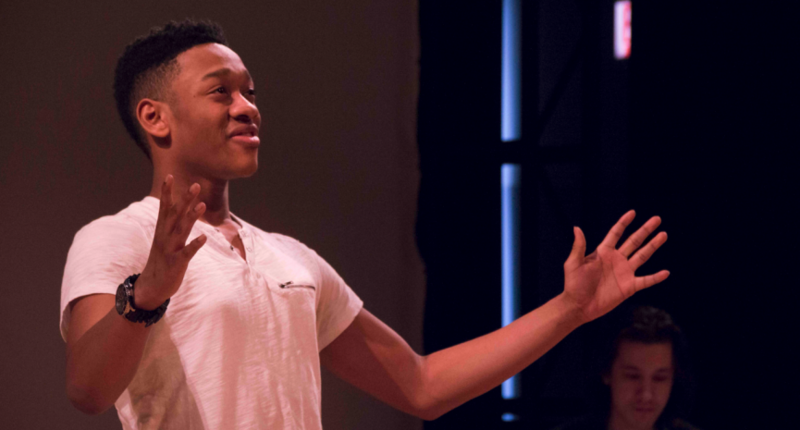 If ChiArts is your top school choice, be sure to rank us #1 your list to ensure that if you pass the audition process, you will secure a seat at ChiArts. For more information, please visit the CPS website, go.cps.edu. Students may apply for no more than two of the following disciplines: Creative Writing, Dance, Music (Instrumental or Vocal), Theatre (Acting or Musical Theatre), or Visual Arts. If you are eligible to audition based on the above academic requirements, start preparing for your audition! We have helpful audition guides available on our website here. Be sure to schedule your audition! After you apply, you will be prompted to schedule your audition(s). Please be sure to schedule an audition date that you can attend. Due to demand, rescheduling your audition may not be possible. It is the responsibility of the applicants to schedule, prepare for, and attend auditions in order to be considered for ChiArts admission. Auditions will take place in December, January, and February. Not all programs will be auditioning each audition day. Please see your GoCPS application RSVP for available audition dates. It is your responsibility to present a complete, prepared audition. Be prepared to present an audition with all requirements for your discipline listed on our website here. Parents, guardians, siblings, and loved ones are welcome to accompany their auditioning student on the scheduled date, however they will not be allowed to observe the audition. Guests must wait in the designated waiting area. They may not walk about the building or sit with their student in the audition holding room. Students with disabilities are strongly encouraged to apply. If your child is selected for an audition, and requires an accommodation identified in the Individualized Education Plan (IEP) that is necessary in order to audition, the accommodation will be provided. Your child’s IEP must be provided to ChiArts before the audition. The procedures for this will be communicated once audition invitations are sent. Once all auditions take place, CPS will match students with their best-fit schools and admission letters will be sent out by CPS. Students waitlisted will receive notice on their GoCPS application. Auditions/interviews will take place in December, January, and February. Audition requirements for each discipline are available on our website here. It is the student’s responsibility to research and meet all requirements, and present a prepared audition. Auditions are scored using a rubric (samples are available on our website here), judging performance, presentation, and potential. The audition panel for each discipline includes, but is not limited to, the following: a community arts partner, a ChiArts representative, ChiArts conservatory department head or assistant. A member of the Office of Specialized Services may be available, if the applicant has made this request prior to the audition date. If you become ill or unable to attend, please contact the school immediately. A new audition date may be scheduled for the student ONLY if there are additional audition dates and times available. ChiArts reserves the right to adjust admission slots in each area based on the number of applicants.